If you are a student, faculty member, or researcher in the United States, you can learn about IPUMS data through an exhibit or workshop at professional conferences held on multiple occasions each year. Thousands of U.S. demographers, geographers, sociologists, economists, ecologists, health researchers, and others have learned about IPUMS through these events. But what if you are student, teacher, or researcher in Africa, where resources are far less plentiful? Currently, IPUMS reaches out to the global research community through international conferences (such as the World Statistics Congress) and regional population conferences (such as the Union for African Population Studies). But these conferences are not held with the same frequency, nor do they serve the same number of individuals that their American counterparts do, making it difficult for most African researchers to attend them. To make IPUMS-DHS data better known and more accessible to African scholars and students, the project has begun to foster training through selected African institutions. 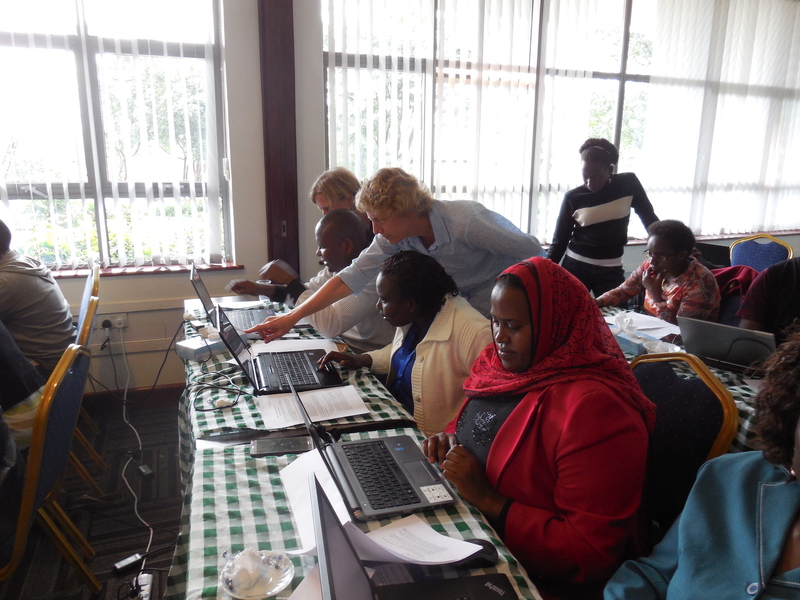 As a first step, in July 2016, project staff members Elizabeth Heger Boyle, Matthew Sobek, and Ann Meier, conducted hands-on workshops on using IPUMS-DHS at Makerere University in Kampala, Uganda, and at the African Population and Health Research Center (APHRC) in Nairobi, Kenya. Approximately 30 enthusiastic workshop participants at each institution participated. The attendees practiced using the documentation, making data extracts, answering questions by analyzing integrated data, and collaboratively planning research projects. The IPUMS-DHS staff received helpful suggestions on ways they can better serve researchers and in prioritizing information to add to the IPUMS-DHS database. At the end of the workshop, the attendees received certificates testifying to their successful completion of the training. More people should learn to use the IPUMS program. I got a very good perspective on how to use large-scale data, microdata and make sense out of it. In this way, I am able to look at data, not at just a community level, but at the national, regional and global perspective. I learned how to use the links to data collection tools that show how specific variables were collected—wording and sequencing and their importance in influencing the responses. Simpler way of getting diverse data and pooling various samples. Big data is useful to us and there is still more we can learn from it and utilize it to give evidence and voice to the data emerging from Africa. It is useful evidence. One of the most useful things is the identification of the missing and not-in-universe cases. There is massive data in DHS that if analyzed and disseminated would be useful in directing policies or programs. Unfortunately, this data is largely unused. The need for the data in a form that can be manipulated in a palatable form is huge and IPUMS-DHS is providing that important solution. IPUMS-DHS and the DHS Program are made possible through partnerships with participating countries, which modify the DHS questionnaire content to meet local needs, field the surveys, and answer the hundreds of survey questions. By contributing to the IPUMS-DHS user training pool, the project is making an effort to pay back our partners’ generous contributions of time and data. 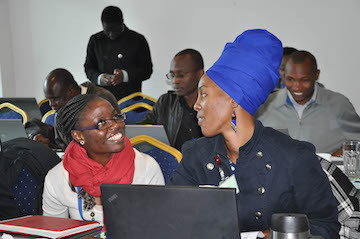 Joyce Mumah and Marilyn Wamukoya (photo by APHRC). Our ultimate goal of the African workshops is to “train the trainers” so that African scholars can pass along expertise to their students, colleagues, and collaborators. Looking ahead, we look forward to the APHRC continuing the training on IPUMS-DHS. 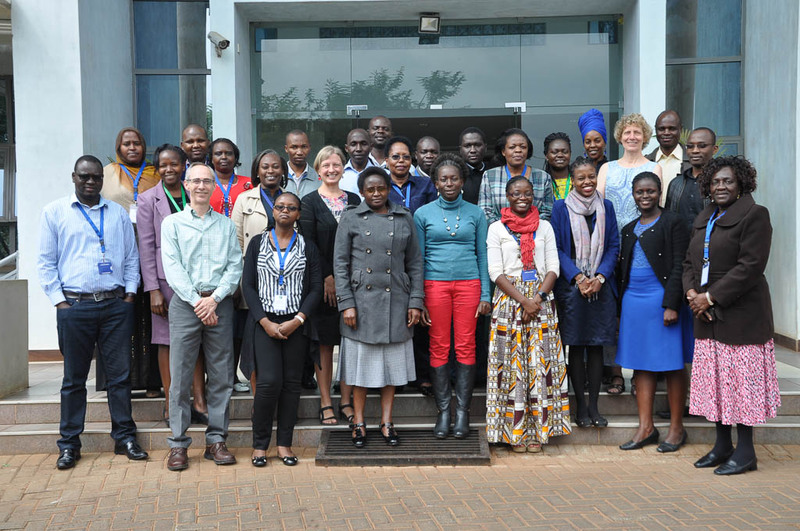 Winner of the 2015 United Nations Population Award, the APHRC offers annual courses on such topics as Data Analysis with Stata and Mastering Qualitative Research Methods. 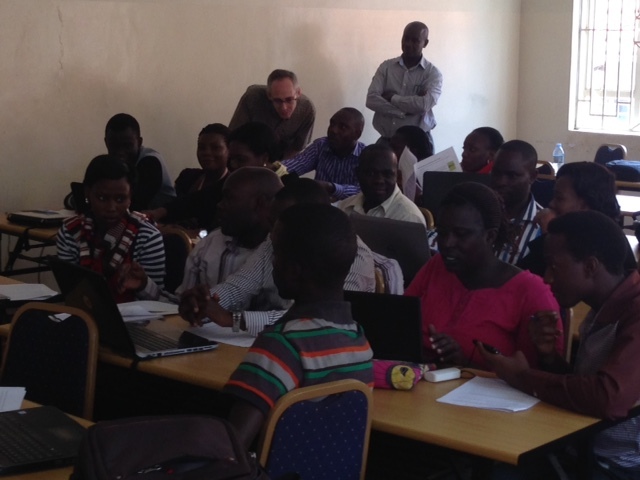 We are delighted that the APHRC has expressed interest in adding workshops on using IPUMS-DHS to their annual course roster. Liz Boyle and Agnes Muthoni Linus troubleshoot a problem, while Zaineb Gura works (photo by Matt Sobek). In the future, IPUMS-DHS staff will also conduct free training workshops at universities and research centers near international conference venues. The 2017 World Statistics Congress in Marrakesh, Morocco and the International Union for the Scientific Study of Population (IUSSP) 2017 conference in Cape Town, South Africa will open opportunities for further workshops in 2017. Our IPUMS-DHS Advisory Board members Andrew Elias State, Asiimwe John Bosco, and Peninah Masibo were key in making our 2016 workshops possible. We will continue to rely on our Advisory Board members’ advice and support. For now, we want to say Asante to our gracious hosts at Makerere University and the African Population and Health Research Center! 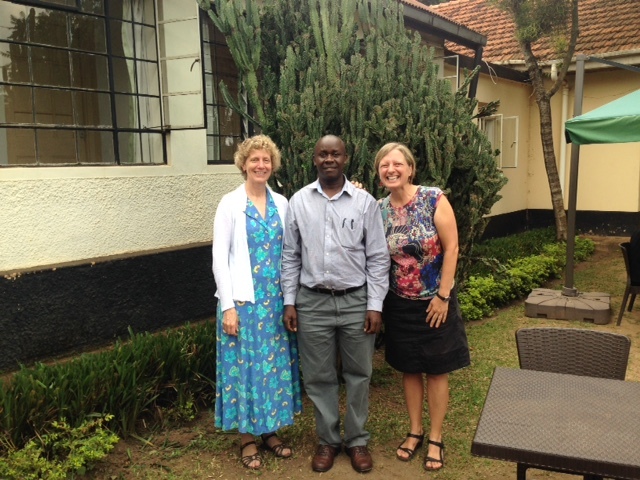 Caption: Liz Boyle and Ann Meier with Dean of Social Sciences Andrew State, Makerere University (photo by Matt Sobek).